Join a gay group trip and visit the three countries that make up the Baltic States: Lithuania, Latvia and Estonia. The Baltic states have German, Scandinavian, Polish and Russian influences, but each country has a distinct culture and history. In the medieval era, the Grand Duchy of Lithuania was a considerable power broker in European politics. A Polish-Lithuanian alliance dominated the Baltic from the 16th-century until Russia took control of the area a couple of centuries later. You’ll find layer upon layer of history to explore, as these small, plucky countries have weathered many storms and preserved their identities throughout time. You’ll be staying in luxury hotels throughout the trip, travelling in style and eating in the best restaurants. 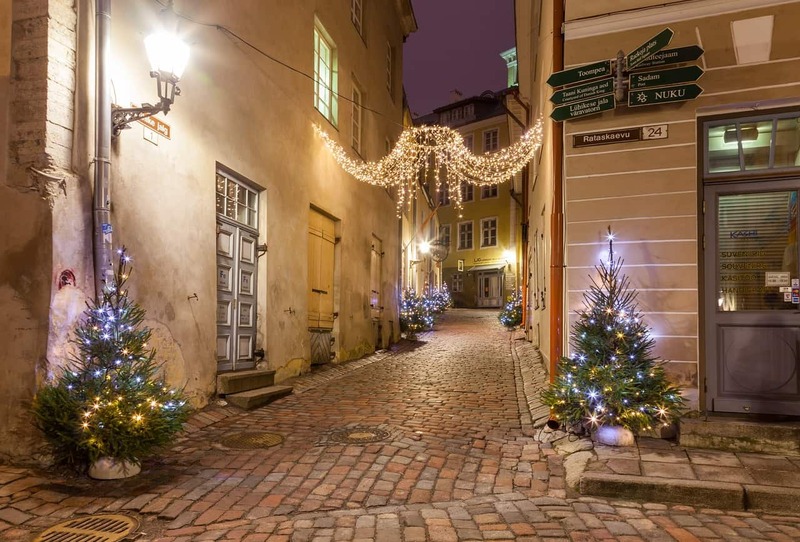 You’ll be transferred from the airport to our 5-star hotel in Vilnius Old Town. Day at leisure to rest after your flight. We’ll have a welcome dinner in the evening. Today we’ll set out on a morning tour of Vilnius Old Town. We’ll then head to Trakai, 30-minutes outside of Vilnius. It has a famous 14th-century fortress on Lake Galve, formerly home to the Grand Dukes of Lithuania. The Hill of Crosses by the border of Lithuania/Latvia is an extraordinary pilgrimage site. The Soviets tried unsuccessfully to destroy it. Pop John Paul II held a mass at this site. In Latvia, we’ll head to Rundale Palace, built by the same architect who designed the Winter Palace in Moscow. We’ll have lunch on the way to Riga and check into our elegant hotel in Old Town. Today we’ll explore the Hanseatic city. We’ll visit the old Guild Houses, the Dome Cathedral, Old Riga Castle and more. Afternoon at leisure to explore the city at your own pace. Riga is the largest city within the three Baltic states. It was originally built by the Vikings as a trading centre in the early medieval era. In the morning, we’ll explore the central boulevards of Riga, passing Bastion Hill and the City Canal Parks along the way. We’ll also pass Art Nouveau buildings and visit the Art Nouveau Museum. After lunch, we’ll visit the Ethnographic Open-Air Museum which showcases Latvian culture through the ages. Today we’ll visit Sigulda, known as the Switzerland of Latvia. We’ll see the remains of Turaida Castle at the Gauja National Park. It has a sculpture garden chronicling Latvian Folklore. Lunch in Tallinn. We’ll be staying in a boutique hotel on a medieval street. In Old Town, we’ll explore the Song Festival Amphitheatre. We’ll also visit the city’s most famous attraction: Toompea Hill and the Parliament building. We’ll also visit the artillery tower, Kiek in de Kök (no sniggering at the back). Today’s tour ends with a trip to Tower Hill Square, where we’ll see the Town Hall, a medieval Gothic masterpiece. In the evening, we’ll have a farewell dinner.